“Combined therapy” is a term referring to either the coadministration of two or more pharmacotherapies or to the combination of different types of therapy methods. 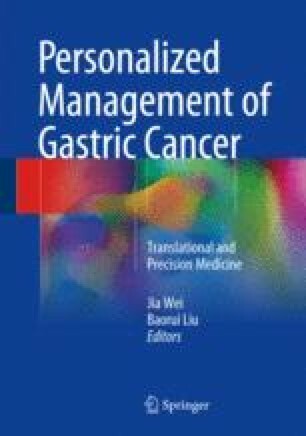 Combined therapy has played an important role in the treatment of gastric cancer, with the routine use of combination chemotherapy in the clinic. Recently, a great deal of interest has been focused on the application of combinational therapies in drug delivery systems. In this chapter, we will summarize the current state of nanoparticle-based combination strategies for use in gastric cancer treatment. These will include both in vitro and in vivo approaches and will also attempt to highlight their benefits, potential applications, and remaining challenges to their use in clinical translational research.